Michael is Head of Customer Solutions at Amazon. Prior to this he was Lead Strategist at Generator and also Senior Director, Global Creative Solutions for Microsoft Digital Advertising. There he devised a strategy and led the execution for the consolidation of creative teams within Microsoft Europe that facilitated a more effective force, with enhanced expertise and ease of market engagement resulting in major wins and industry recognition. Prior to his current position, Michael held creative lead and product management positions within Microsoft Consumer and Online divisions in Seattle. He has also worked in product planning for DEC (Hewlett Packard) and brand management at Gillette. 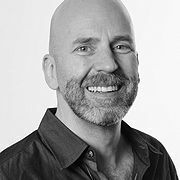 Michael holds a Bachelor of Business Studies from University of Limerick, Ireland, a Graduateship from the Marketing Institute Ireland and a Certificate in Photography from University of Washington, USA. As a creative within the interactive media arm of a global technology corporation, Michael is eager to come to the Berlin School of Creative Leadership to learn the strategic approach to creative leadership and be a key contributor to his company's future success in this high stakes growth arena. "My interest in the program has undergone a lengthy gestation period. I'm motivated and ready to dive in – eager to learn from the faculty and my peer cohort. I hope to also bring a unique perspective that contributes to this fascinating internationalist learning adventure."